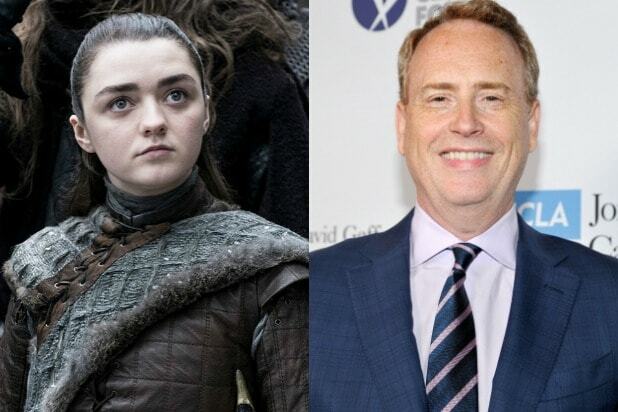 As the new entertainment chairman of WarnerMedia, Bob Greenblatt has inherited HBO’s crown jewel, “Game of Thrones,” just as it begins its end. Now the question is, where does he want it to end? While the long-running fantasy series will premiere its eighth and final season this April, when it comes to “Game of Thrones” what is dead may never die — and so the currently untitled “GoT” prequel pilot will begin production in early summer. But that George R.R. Martin and “Kingsman” screenwriter Jane Goldman-created project — which is set 5,000-10,000 years before David Benioff and D.B. Weiss’ show — has yet to actually be ordered to series by the cabler and is currently the only one of five in-development spinoff scripts that is moving forward. So what does Greenblatt, who is taking over for longtime HBO chief Richard Plepler, the exec who greenlit “Game of Thrones,” see when he looks to the future of the franchise? He isn’t exactly sure yet — but he doesn’t know if it’s realistic to think you can pull too much from that well. “I think to figure out a way to sustain ‘Game of Thrones’ or the ‘Game of Thrones’ world for the future is a really good idea — if it makes sense creatively and if everybody is on board,” Greenblatt told TheWrap Monday, hours after news broke about his new gig. Greenblatt stepped down from his post as NBC Entertainment chairman late last September, with George Cheeks and Paul Telegdy filling his role. When he took the helm at the broadcaster eight years ago, Greenblatt reversed the network’s ratings woes with hits like “The Voice,” “America’s Got Talent” and, more recently, “This Is Us.” Under his stewardship, the network has topped all the other broadcast networks in the 18-49 demo for four out of the last five seasons. “I’ve been through this a number of times,” Greenblatt told us, noting that at NBC “there was nothing after one of the most incredible runs of a network for two decades,” referencing the hole left by the ends of Must-See TV hits like “Friends” in 2004 and “Will & Grace” in 2006. Read more from our interview with Greenblatt here.